Ever thought the colour locals painted their homes with only to ward off insects would become synonymous with the city? Earlier, Jodhpur used to suffer from a major termite problem and thus, the people there began adding copper sulphate to their whitewashes, which lent the city its pristine blue-indigo hue. Traditionally, blue signified the home of a Brahmin, but gradually non-Brahmins too fell in love with the tint and got in on the act. Yes, the Blue City is really blue! It has been chronicled in many a photographic anecdotes, written tales and beautiful canvases; but to see it come alive in front your very eyes is altogether a different experience. Modern Jodhpur stretches well beyond the city walls, but it is the buzz of the old city and the larger-than-life fort that capture your imaginations. 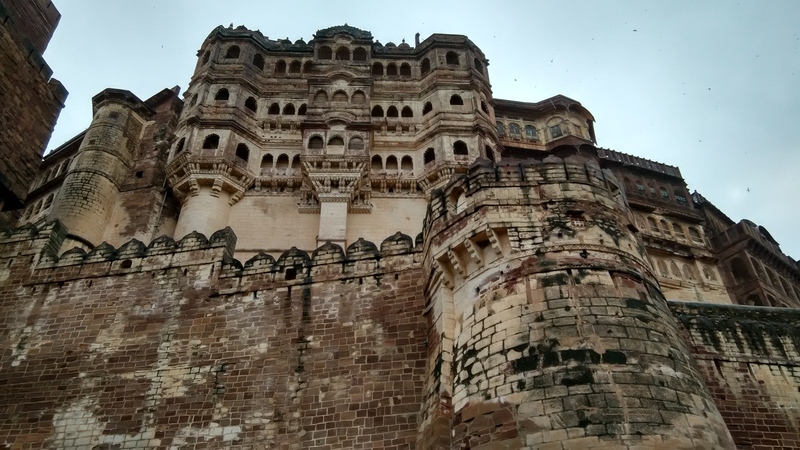 At the base of the mighty Mehrangarh Fort is a jumble of blue cubes that stretch out to the 10 km-long, 16th-century city wall. Inside are vibrant, entangled and bustling medieval streets – all of which look-alike and never seem to lead where you want them to – and shops selling everything from vintage home decor and temple decorations to skirts, saris, jootis and traditional embroidered jholas. With many of the alleyways now obstructed with unwanted scrap, forget exploring the city on foot, especially during muggy monsoons. The attractive-looking rickshaws here are made super slim to be able to squeeze through the narrow streets and make for a great travel option. Their sight makes you want to hop into them straight away!